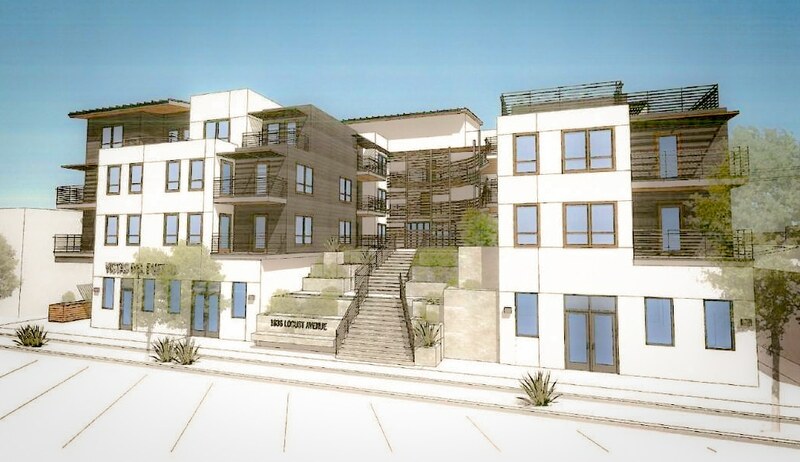 In a partnership between affordable housing builder Clifford Beers Housing and Killefer Flammang Architects, 48 new affordable units will break ground on March 27 near the Blue Line at Pacific Coast Highway and Long Beach Boulevard. Set on a 27,000-square-foot lot at 1836-1852 Locust Ave., the five-story, two-structure Vistas Del Puerto project will have 47 affordable units and a managerial unit on floors two through five, and 40 parking spaces on the ground level. In addition, 4,671 square feet of that space will be used for the community that lives within it, as well as bike storage and a bike lounge for its citizens to work on their two-wheeled steeds. The project is a welcomed addition to Long Beach’s housing supply, which lacks in not only overall supply but particularly in affordability; it joins The Spark as the second affordable housing complex to break ground this month. Currently, Los Angeles County is roughly 500,000 units (and over one million units in total) behind in building affordable housing, contributing to a crisis that is prompting increased homelessness and displacement. The conversation—pitting housing advocates against well-meaning, but selfish NIMBYs fearful of “losing their lifestyle” to so-called over-development—has erupted across the state, prompting politicians to figure out ways to downsize the crisis while homeowners and property owners rail against developers and renters. After Gov. Gavin Newsom led the state to file a lawsuit against Huntington Beach for its alleged failure to comply with housing supply laws, Newsom made a pitstop in Long Beach last month to warn other cities he would continue to not let local matters influence his focus on creating more housing.